Are you searching for a reliable and trusted plumbing, heating, and air conditioning company in Westfield, NJ? Your search is over because Rite Rate is the leading plumbing, air conditioning, and heating company in the area! 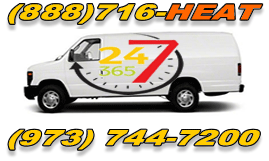 We’re available 24/7 and offer free estimates on all of our services. Our expert contractors can handle everything from a new toilet installation to heating repair in Westfield, NJ. You can rely on Rite Rate for the most affordable plumbing and HVAC services for your home or business! You may not realize it but you use your heating system every day not just for heat but for hot water! Therefore, it is necessary to always to have reliable heating company in Westfield, NJ! Call Rite Rate for the best heating repair, installation, maintenance, and replacement services. Our contractor's service all makes and models of hot water heaters, boilers, and furnaces. We install these heaters for our clients at affordable prices. Should your heater breakdown, contact Rite Rate 24/7 for emergency heating repair! Our air conditioning company offers affordable services including installations, repairs, replacements, and maintenance. We’re specialized in all residential and commercial air conditioners. We’ll service any central AC, heat pump, thermostat, ductless air conditioner, air handler, and more. We have expert contractors who work day and night to offer 24-hour emergency air conditioner repairs for your home or business. If you’re looking for the number one air conditioning company, call Rite Rate for the best most affordable solutions! Do you have a burst pipe or clogged drain that’s causing flooding in your home or business? Don’t wait to call Rite Rate! We’re a 24/7 emergency plumber that can immediately fix your plumbing system. We can install, replace, and repair sumps pumps, sinks, showers, toilets, bathtubs, faucets and much more. We also have expert plumbers that can provide immediate drain and sewer cleaning and video camera pipe inspection to locate and clear debris.If you need a plumbing, cooling, or heating company in Westfield, NJ call Rite Rate today! We guarantee 100% customer satisfaction and rates that can’t be beaten.